We put the shared intellect, mind-set, strategies and resources in place to systematically address the issues impacting on young people. We use research, data, local insights and expertise to inform decision-making and create unique local responses. Our plan is a community driven, common agenda made by and for the people of Greater Shepparton. Since inception Lighthouse has used consultation and strategic planning to guide our work. During 2018 Lighthouse is updating its Strategy to set priorities for the next 5 years. 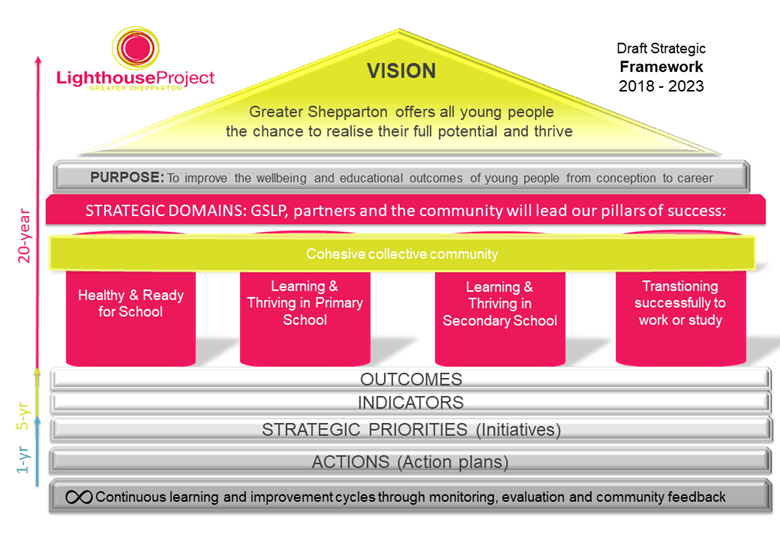 The Strategy is structured around five key pillars as shown in the strategic framework diagram (the House). It presents our vision, theory of change, collect impact approach, the data relevant to the key cohorts from conception to career and identifies outcomes, indicators, initiatives and an associated monitoring, evaluation and learning framework. 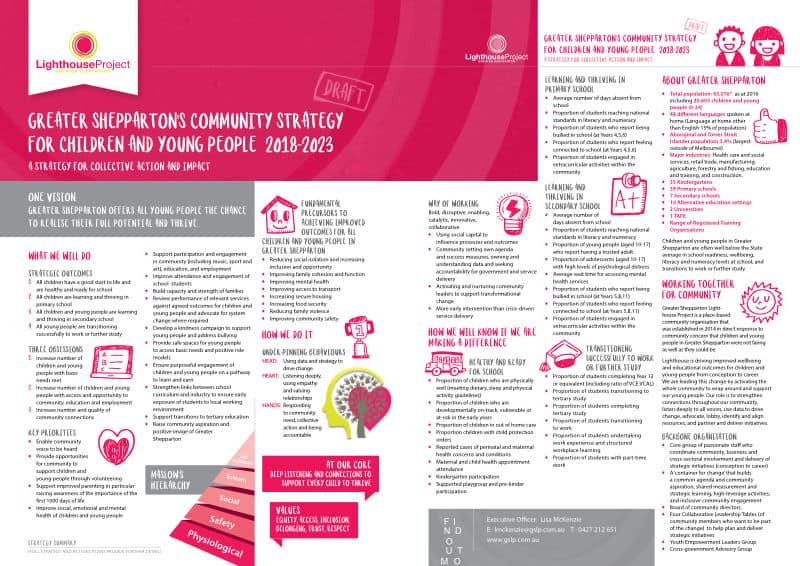 You can view our Strategy for Children and Young People 2018-2023 in PDF here. Alternatively you can download an A4 version of the document.